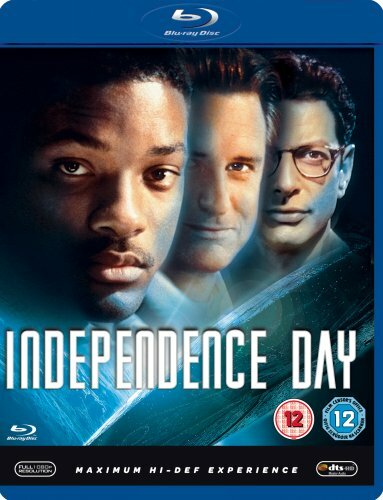 If you’ve got your high definition television set up, and your Blu-ray player or Playstation 3 at the ready, then surely home cinema demo material rarely comes in better shape than Independence Day. The spectacular 1996 blockbuster stars Will Smith in the early part of his movie career and, of course, tells the tale of invaders from other worlds bringing mighty ships to the Earth. And particularly in the first half, Independence Day wrings so much tension and style from their arrival that few films have equalled it since. The sheer spectacle of set pieces such as the blowing up of the White House, or the massive battle in the skies, simply deserves to be seen and enjoyed in high definition. Independence Day, of course, does go a bit daft as it goes about wrapping up its simple-yet-compelling premise, but it’s really very hard not to forgive it. So ambitious were the effects at the time that they still stand up now, and as far as science fiction blockbusters go, this remains one of the finest in recent memory.